Cactus IT understands that your privacy is important to you and that you care about how your information is used and shared online. We respect and value the privacy of everyone who visits Our Site and will only collect and use information in ways that are useful to you and in a manner consistent with your rights and Our obligations under the law. “We/Us/Our” means Cactus Backup Limited (trading as Cactus IT), a limited company registered in England under Company Number 7417535, whose registered and main trading address is 3 Hawksworth Street, Ilkley, West Yorkshire, LS299DU, England. 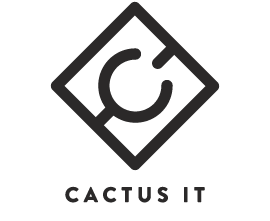 Our Site, https://cactus-it.co.uk is owned and operated by Cactus Backup Limited (trading as Cactus IT), a limited company registered in England under Company Number 7417535, whose registered and main trading address is 3 Hawksworth Street, Ilkley, West Yorkshire, LS299DU, England. 4.11 add further information as required. 6.1 We only keep your data for as long as We need to to use it as described above in section 5, and/or for as long as We have your permission to keep it. In any event, We will conduct an annual review to ascertain whether we need to keep your data. Your data will be deleted if we no longer need it in accordance with the terms of our Data Retention Policy. 9.2 When you submit information via Our Site, you may be given options to restrict Our use of your data. We aim to give you strong controls on Our use of your data (including the ability to opt-out of receiving emails from Us which you may do by unsubscribing using the links provided in Our emails or by emailing us at unsubscribe@cactus-it.co.uk ). You have the legal right to ask for a copy of any of your personal data held by Us (where such data is held). Please contact Us for more details at support@cactus-it.co.uk, or using the contact details below in section 14.